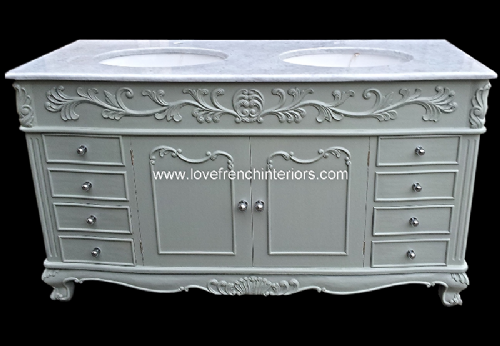 This is an overview of all our bespoke vanities. The vanity shown can be seen here. 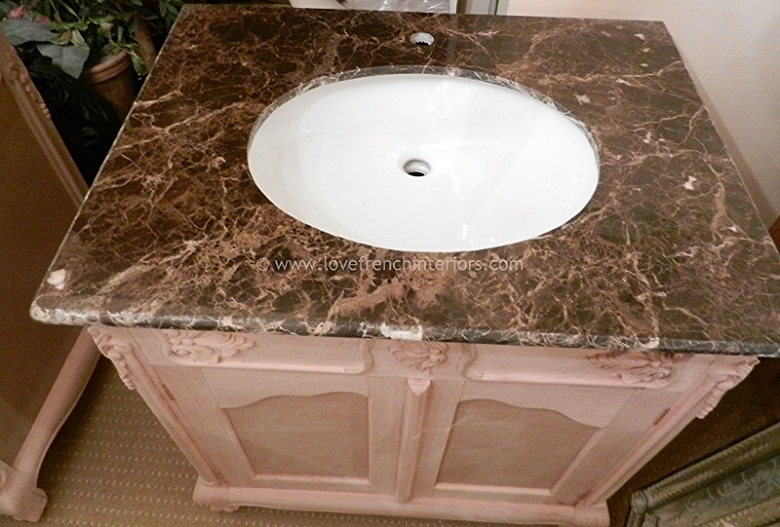 Please see individual vanities for specific information and dimensions. 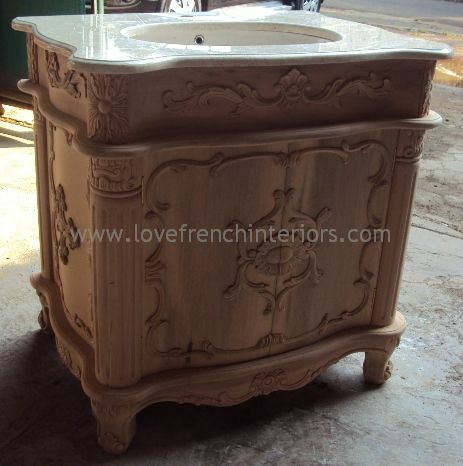 If you do not see what you require please ask as we can make vanities to various styles and dimensions. 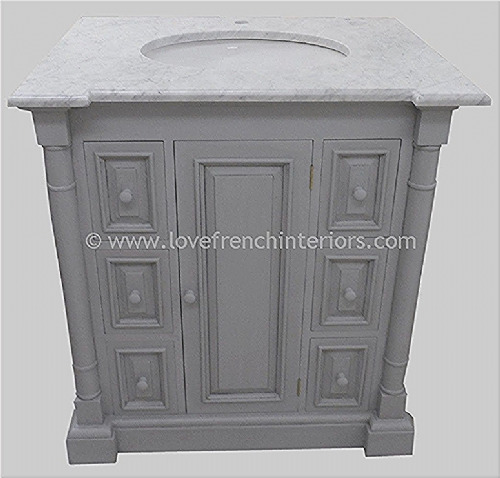 With our Bespoke French Vanity units customers can have the base wooden carcase made and painted to the size and colour they require. These pictures show just of few of the different styles that are available. 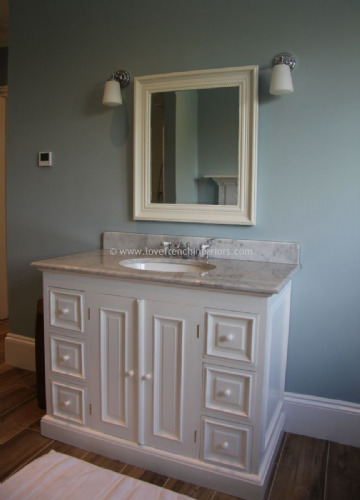 We can also design individual vanities for customers. 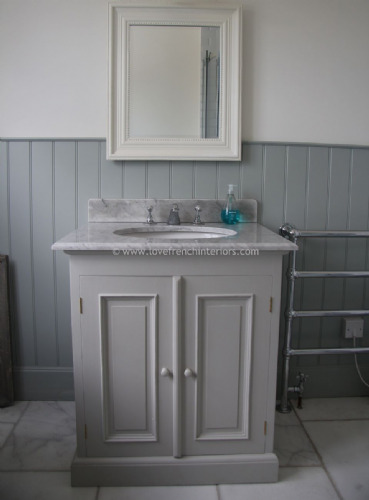 Please click here to see all of our vanities which can be made to different sizes and finished in any colour. We also supply a quality solid marble top (in a choice of three colours - white, cream or black granite) and a premium quality bowl. Please note that we do not supply taps and waste connections. This allows you to choose the taps of your choice and then let us know when ordering if you require one or two holes in the marble for your taps. We can make vanities in any size and style - why not customise some of the vanities shown in our collection to create your own individual bathroom piece? Or have the bowl offset from the centre in order to gain more storage space on the marble top? Simply decide upon the style and size and then contact us for a quote. 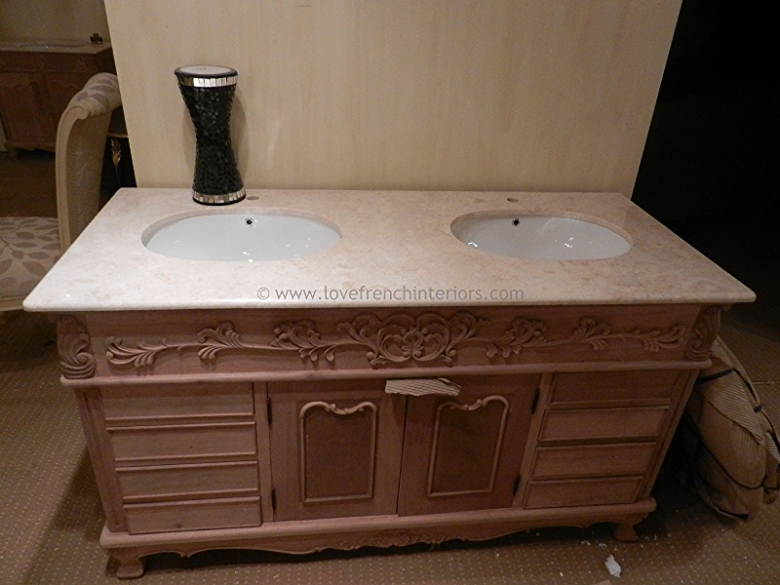 As these vanities are entirely made to order average lead times are around 12-14 weeks. However, we do keep standard sizes in stock and ready to be painted for customers that do not need to change the dimensions that are often ready in 2-3 weeks. Shown here are some unfinished examples in our warehouse. ie. they are awaiting painting so are in a raw wood finish without knobs and handles. 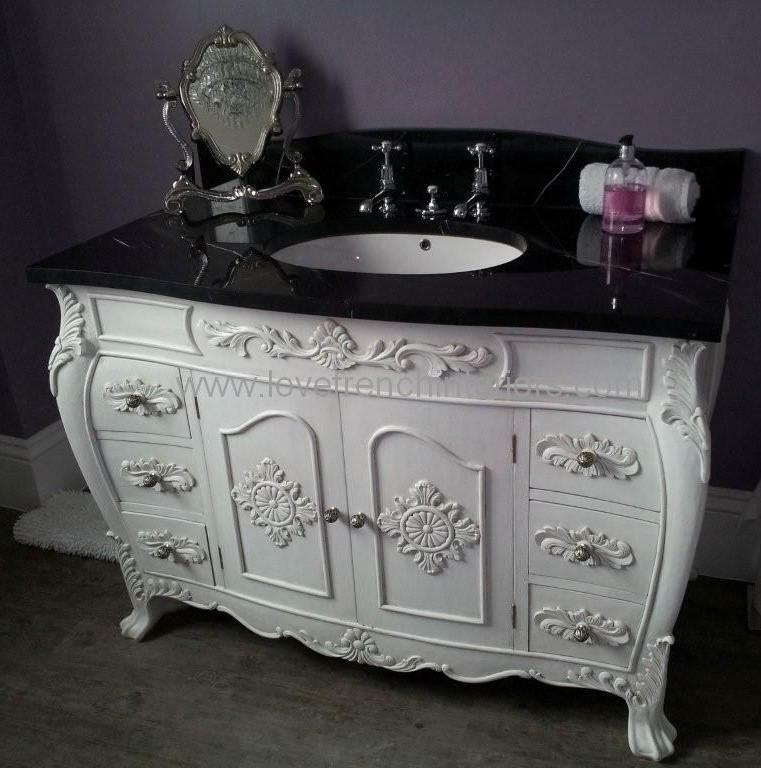 They show some examples of the marble colours as well as the vanity styles. 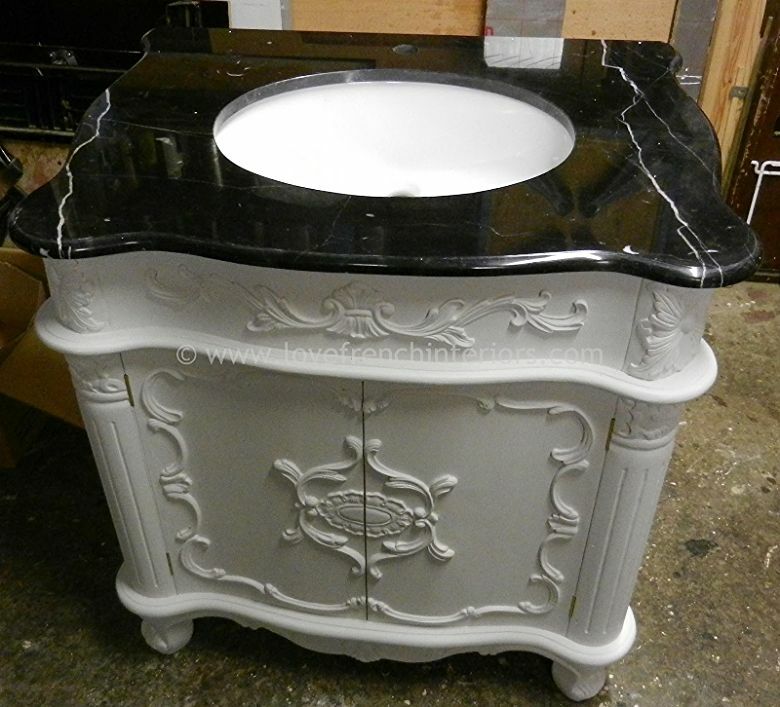 - A choice of marble colours - black granite, cream marble or white marble. - QUALITY bowl made by one of the biggest manufacturers of bathroom products. - Can be made to any size - higher, wider, deeper or smaller, narrower etc. Prices: Vary according to the size and style you require. Simply contact us for a quote and to discuss the options available. Dimensions in cm: Available in any size to suit a single or a double bowl.